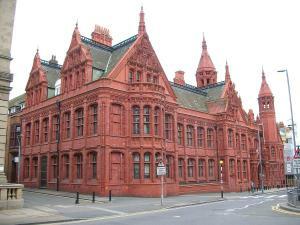 Two people have appeared in court charged with trying to steal a car from a garage in Walsall. Reuben Hylton, 24, was arrested alongside a 26-year-old woman named Meryl DaCosta after the pair attempted a break-in at the Stourbridge Motor Company on 5 February. A car salesman who had stepped in to stop the vehicle being stolen was dragged along the forecourt before the assailants abandoned the scene without stealing the car. The bravery of a car salesman to confront the criminal might have prevented the robbery in this instance but car mechanics and salesman can prevent having to put themselves in harm's way if the business has a motor trade insurance policy in place that will provide cover against theft for vehicles stored on the premises. A combined motor trade insurance policy can also include employer's liability cover, which offers protection for members of staff, in case they are injured at work, whether that is when confronting thieves or simply slipping on the floor. Appearing at Birmingham Magistrates Court (pictured), Mr Hylton was charged with 19 offences dating back to 8 December 2014, including six counts of stealing motor vehicles from forecourts across the West Midlands, eight counts of driving while disqualified, two counts of leaving without paying for petrol, one count of assault and another of breaching an anti-social behaviour order. Stourbridge News added that Ms DaCosta was also charged in connection with the attempted theft from Stourbridge Motor Company, as well as a separate crime of robbery, which took place in Walsall on 30 January. The pair will appear in Birmingham Crown Court on 20 March for sentencing.